You've done the crime - and reaped stacks upon stacks of dirty cash much to the chagrin of San Andreas' reeling financial institutions. So, what to do with your newfound wealth? Sensible low-risk investments and a quiet retirement? Live out the rest of your years comfortably but inconspicuously with an understated and respectable lifestyle? Didn't think so. To the victor go the spoils - and for those whose Online Heists profits are burning a raging hole in their pockets, get ready to properly ball out and become the envy of all your Snapmatic followers by flaunting your hard-earned gull-wing doored supercars, ostentatious designer vehicle wraps, solid gold aircraft and so much more. 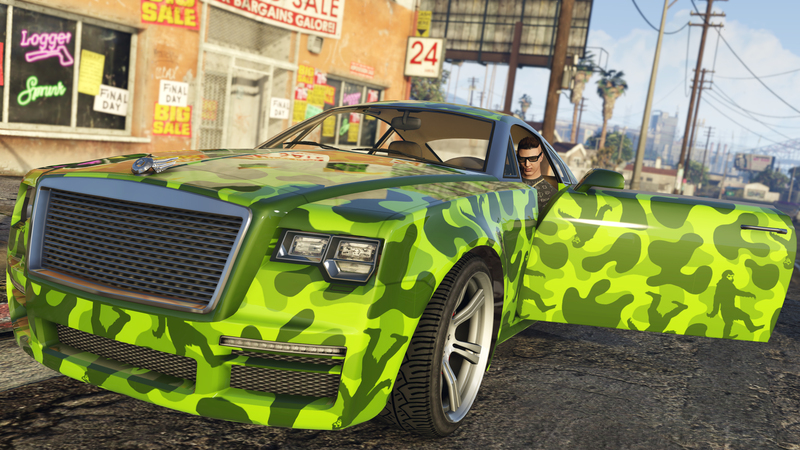 The Ill-Gotten Gains Update: Part One for Grand Theft Auto Online is available today across all five platforms. 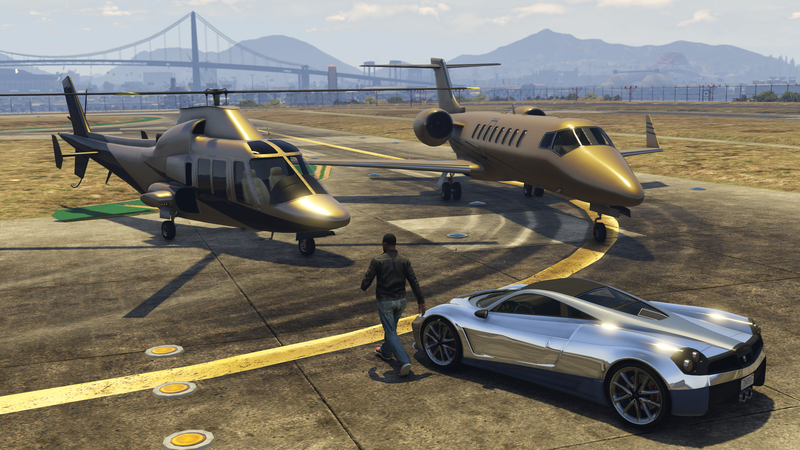 In addition to four new high-end automobiles (the Pegassi Osiris, Albany Virgo, Benefactor Stirling GT and Enus Windsor), you can also rule the skies in a pair of new extravagant, Deluxe aircraft. 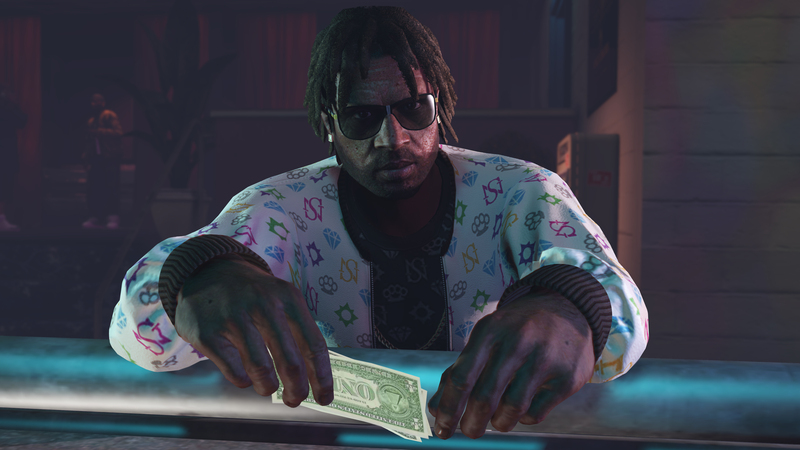 And not only have the racks at swank Rockford Hills clothiers been updated with new designer outfits, necklaces, earrings and watches - the rack at your local Ammu-Nation's got a new Personal Defense Weapon, the Combat PDW. The newest generation of Los Santos residents can also adorn select weaponry and attachments with Luxury Engravings, while luxury aircraft will afford new generation residents the opportunity to drink champagne and smoke cigars while flying high in the Los Santos skies. 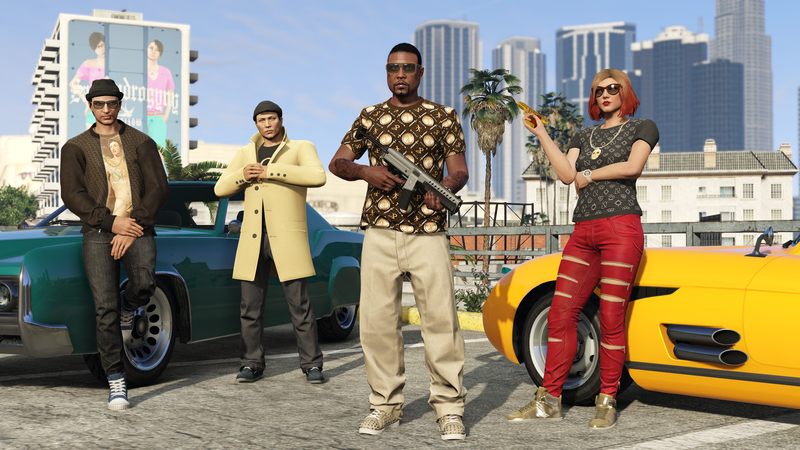 Also part of today’s automatic update, Rockstar has added the First Person Vehicle Hood Cam that's already on PC to the Xbox One and PS4 versions of the game, along with a host of other new features and updates including redesigned, easier-to-use vehicle websites; a new 'Friends In Session' option within the On Call phone menu to auto-invite all your friends to a job you are on call for, and a lot more. For the complete list, check out the official notes at the Rockstar Support site. They've also added the latest GTA Online illustration featured in this past Friday's announcement and the event flier to the collection of GTAV digital artwork in a range of desktop wallpapers, smartphone and tablet backgrounds, avatars and more. To get the update, just start up GTAV from your online-connected console and follow the update prompts on screen. Join the chat in the forums! If you have technical issues after the update, be sure to check out Rockstar Support and see if your issue has been noted. Ill-Gotten Gains Part 1 Out Now - Get out from under your rock and start tricking some ladies of the night so you can buy new vehicles, outfits, and more from the Ill-Gotten Gains Part 1 update.